Granite tiles and counters are used frequently throughout the home. Granite is a hard and durable stone that doesn't scratch or stain easily, but which can etch or dull in finish if treated wrong. Like all natural stones, granite should always be cleaned with a neutral-pH or stone cleaner to help prevent etching. If etching does occur, a stone polish can be applied to bring back the granite's luster. Firstly, sweep or brush the granite on a regular basis to remove grit and debris that may get ground into the stone. Frequent sweeping helps ensure that microscratches do not occur on the stone. Secondly, spray a stone cleaner or a neutral-pH cleaner, like Dawn or Ivory dish soap, mixed with water onto the granite. Rub the stone clean with a soft cloth. Thirdly, spray stone polisher or pour a small amount of shine-enhancing stone sealer onto the granite. Buff the polisher or sealer into the granite tile with a soft cloth. Rub the granite firmly using a circular motion to work the product into the surface of the stone. 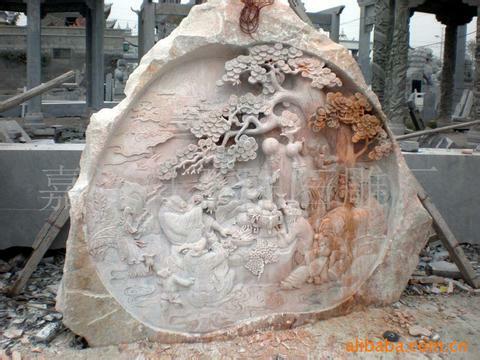 Keep rubbing until the stone feels dry and not tacky to the touch. Granite cleaners can frequently be found at your local grocery store with other cleaning supplies. Stone sealers and polishers can be found at hardware stores, granite tile dealers and counter fabricators. Avoid any products that contain acids, like lemon, or products that contain vinegar on the granite. They will dull the shine of the stone. Must You Use Bamboo For Floors Instead Of Maple Granite?